Christmas is a tiring time for everyone! But what if even with a good night sleep we still look tired? 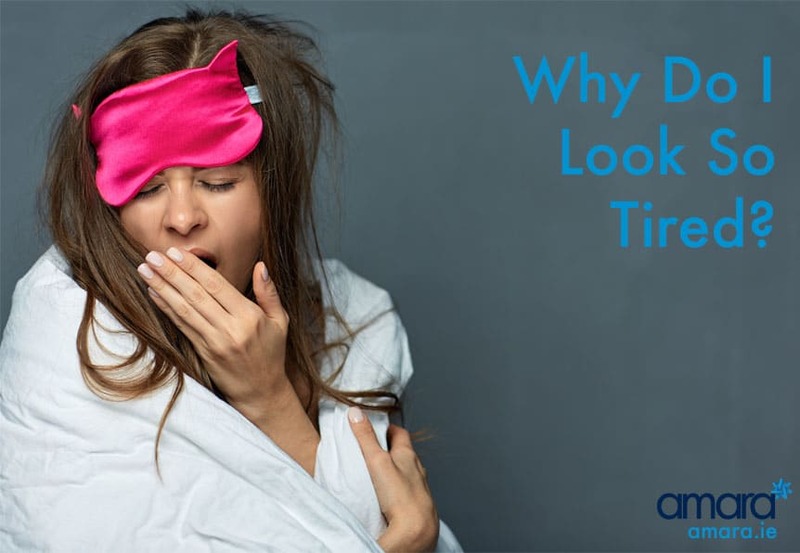 We take a look at what makes us look tired and how we can stop it! What Makes Me Look Tired? The most obvious reason for bags under your eyes is not getting a restful sleep or stress, typically a good night’s rest can help this. However, over time lack of rest may make dark circles permanent. When we age our skin loses elasticity and our collagen begins to drop. Typically our eyes are the first to age as the skin surrounding them is so delicate. Just a 1ml drop to our eyes can easily age us 10 years as the skin falling creates a depth! Crepey skin will look dry adding to the tired look. Collagen Loss in our cheeks will create a wider gap between our eye and cheek making it look hollow. Combining this with a loss of elasticity will widen the hollow giving us a permanent dark circle. 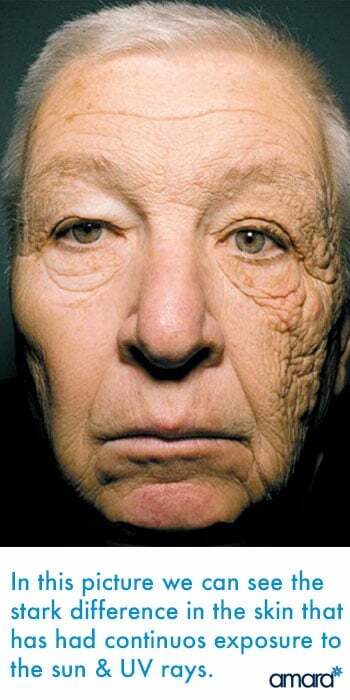 This picture shows clearly the harmful effects of the sun and UV rays on our skin. Wearing a good SPF will help prevent the UV rays from causing damage to our skin. This is a daily essential no matter what time of year. The carbon monoxide in cigarettes displaces the oxygen needed in your skin. Wittle little oxygen blood flow is decreased and leaves skin discoloured. It will also prevent your skin from repairing itself. Having no skincare routine (or a damaging one) will affect your skin ageing process. Starting with a good targeted skincare routine will help maintain your skin’s elasticity, the main culprit for looking tired. See a skin specialist for what skin products will help you. How Can I Hide Looking Tired? First off cosmetics is always our go to when hiding dark circles. Under eye concealer that is lighter than your foundation will brighten up your under eyes. Use a damp sponge to prevent the concealer from cracking. Obviously, this is only a quick fix and for those with severe bags isn’t a viable option. Using Hyaluronic Acid Dermal Filler we can replace the lost volume under the eye. This is a relatively simple and quick treatment which can be done by an advanced filler injector. Hyaluronic Acid is found in the body which is why it is the preferred dermal filler. Using PRP with micro needling encourages your skin to repair itself. In PRP (Platelet Rich Plasma) our own plasma is needled into the skin. This will help with our skin elasticity, discolouration, and overall skin health. Do you feel your tired look isn’t just for Christmas? Contact us for a consultation with our skin health therapist to find out more!